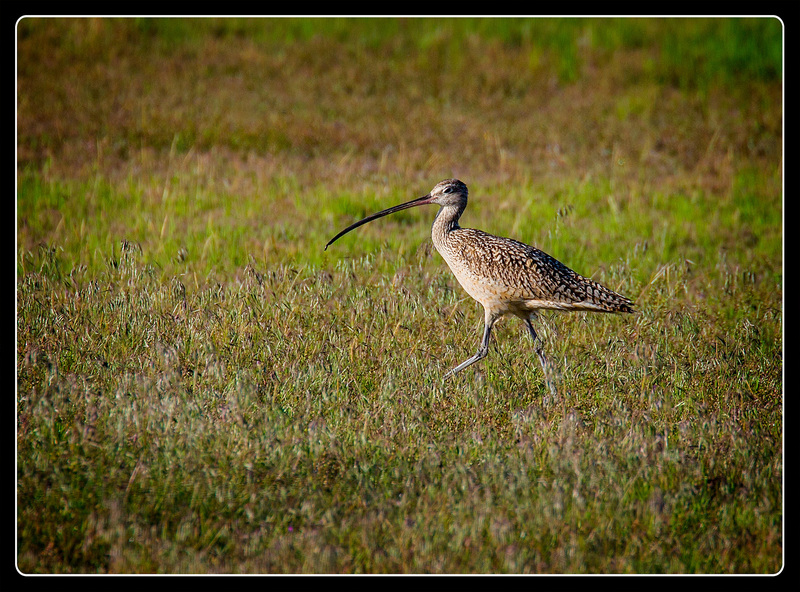 One of the biggest treats, though, was this sighting of a Curlew. At first sighting I wondered what kind of birds all those small birds around the Curlew were. 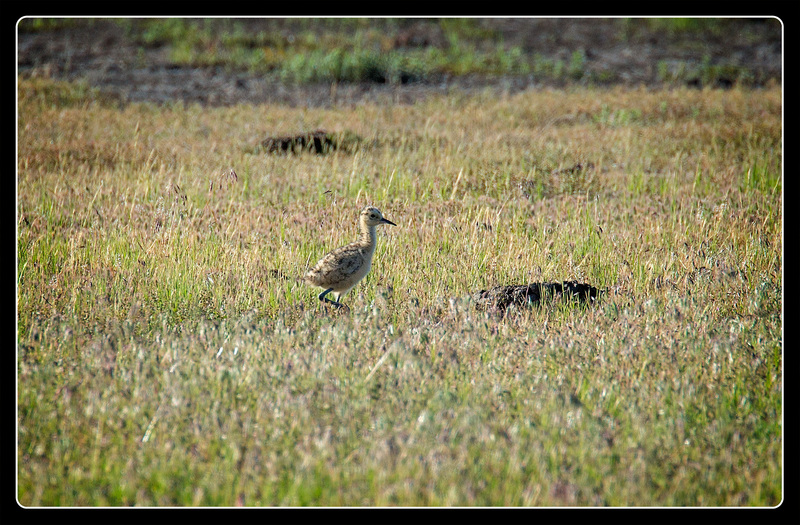 Then I realized they were actually very large Curlew chicks, the first I have ever seen. 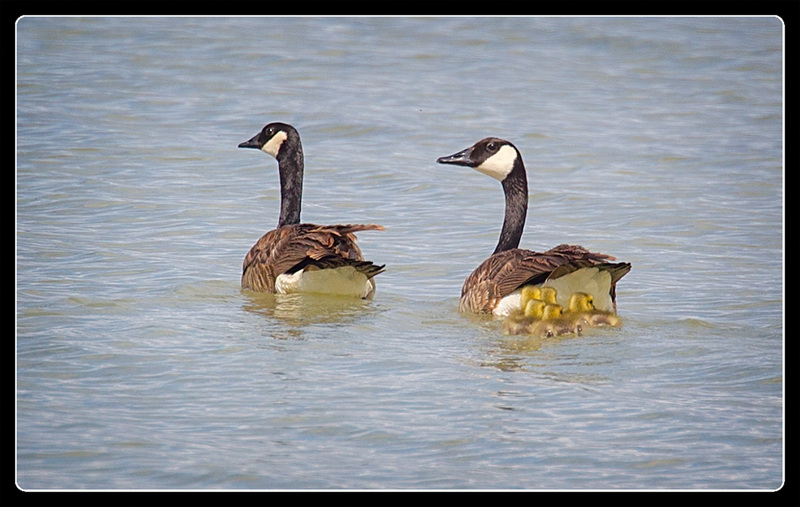 The biggest sighting, though, was a day later hundreds of miles away when I spotted two swans with their cygnet. I’ll have to admit that one of my long-term birding goals is to see more of the birds I see wintering in Puget Sound in their breeding habitat. Bear River was a great place to start and one I’ll return to often in the future. That Curlew chick is adorable. What a wonderful sighting! The adult is pretty gorgeous as well. 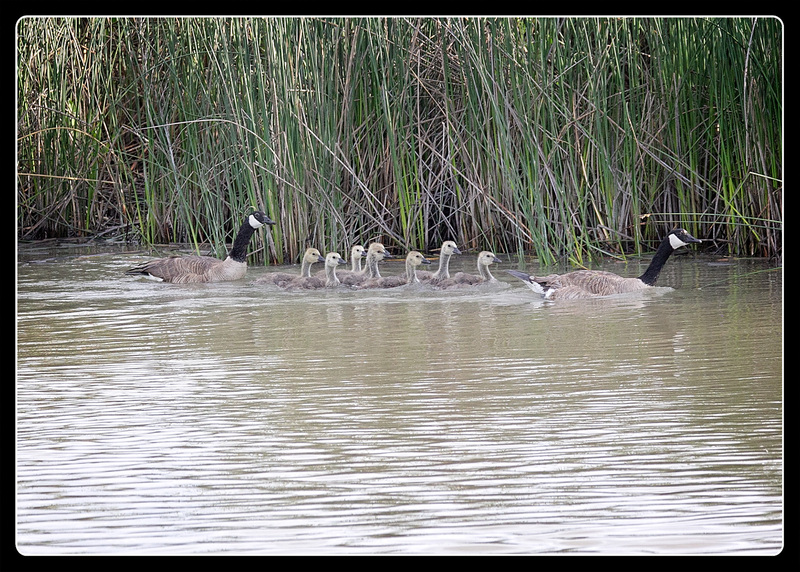 Love the geese and their goslings. Such a grand time of the year.